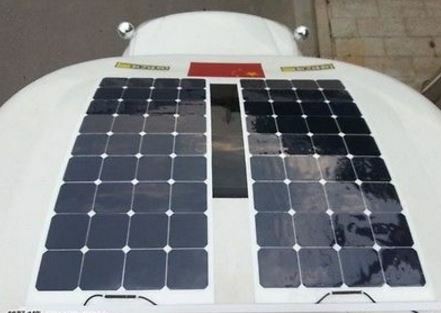 Have portable solar household power anytime you need it. Anywhere you go. This quality kit has everything you need for quick and easy assembly. 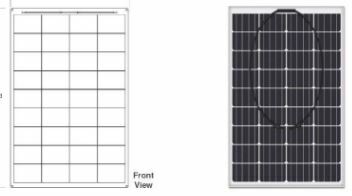 Lightweight Solar Panel has grommets on edges to easily secure with bungee cords or lines and deploy anywhere. Just supply your own 12v deep cell battery(s) and have power within minutes. Dependable, clean, quiet, and easy to install and set up anywhere. Have electricity during outages, or when you go camping. 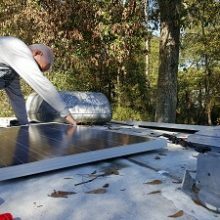 The controller must ALWAYS be connected to the battery within 2-3 feet or less, otherwise the voltage loss is so great that the battery can never get fully charged (Ever) The controller can remain permanently connected to battery when panels aren't in use. Constant undercharging kills an expensive 12v battery quickly. 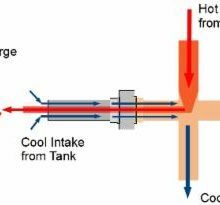 This system really works. The unit is equipped with a load control cooling fan, 2 ac receptacles, usb charging port and includes cables with clamps. 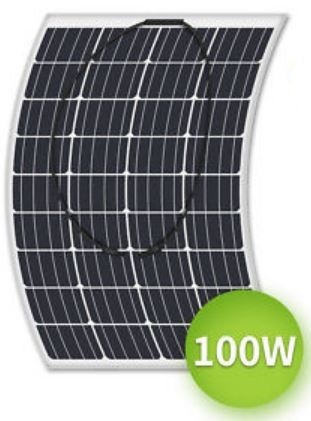 Have portable solar household power anytime you need it. Anywhere you go. This quality kit has everything you need for quick and easy assembly. Just supply your own 12v deep cell battery(s) and have power within minutes. 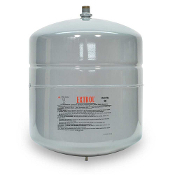 Dependable, clean, quiet, and easy to install and set up anywhere. Have electricity during outages, or when you go camping. 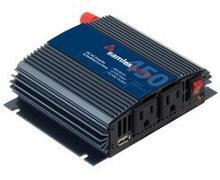 The Samlex 450 watt Inverter (900 watt surge w/soft start) provides 6.9 amps to run small appliances, computers, TV, lights, power tools and more. Has 2 regular 120v outlets and usb port for charging.